When it comes to Sriracha swag, you've got plenty of gift options for the rooster sauce fiend in your life. But let's be honest: no one really wants Huy Fong-themed boxers. 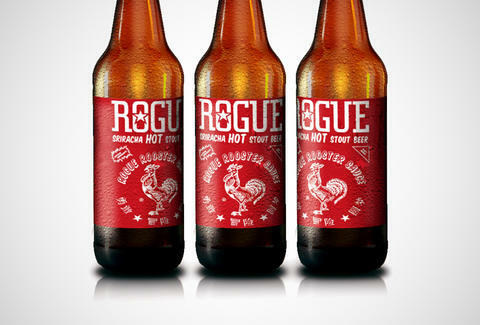 What they want is Sriracha beer, and Rogue Ales can help you out with their Sriracha Hot Stout Beer, coming to shelves this December. Though Rogue just dropped the announcement on their social media yesterday, it looks like they've been testing the stuff in their brewery for at least two months now. The critics on Untappd have been largely positive so far, praising the stout's spice and notes of coffee. Rogue is now moving to mass-market the beer, though details on the timeline are maddeningly vague. We'll be updating this story with deets as we get them, but for the time being, you'll just have to rely on Sriracha vodka for your boozy hot sauce needs. Kristin Hunt is a Food/Drink staff writer for Thrillist, and only likes spicy beers when they're Flying Dog's Old Bay Summer Ale. Follow her at @kristin_hunt.